To me, the grocery store is like the “after party” of the gym. On any given weeknight in the DC area, it’s easy to spot post-workout singles with something they picked up from the prepared foods section. So it makes sense that Whole Foods would try to tempt its weeknight shoppers to forgo the gym for a less-sweatier and more social option: happy hour. With wine and beer specials starting around $3, a number of Whole Foods in the DC-Metro-area are drawing crowds to their in-store bars between 5-7p.m. during the week. Some individual stores even offer discounts on food as well. They have a variety of micro-brews and wines on tap, and if you ask nicely they’ll give you a free taste. 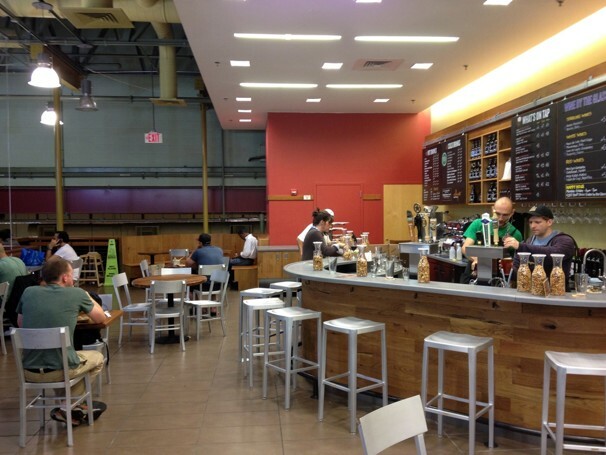 However, if you want the ultimate weeknight drinking, dining, and shopping experience, then you should head to the Whole Foods in Fair Lakes. They have a wine and beer bar and a number of in-store restaurants that provide no shortage of options. 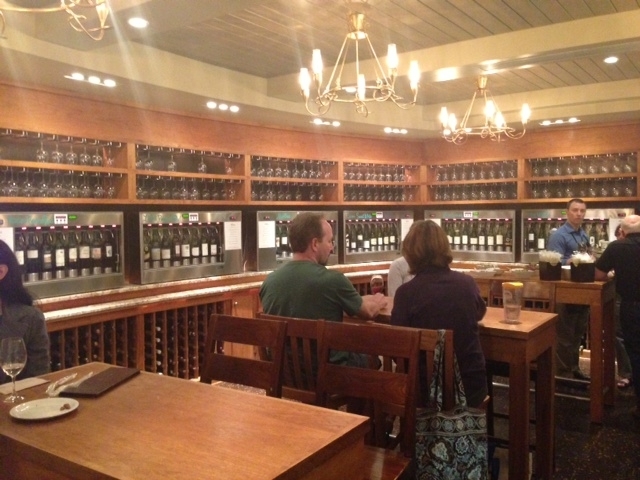 The piece de resistance is their upstairs wine room which offers over 80 wines on tap. They are organized by taste, for example “medium-bodied red wine” and “dry white wine,” so if you have a preference you know where to go. Once you arrive upstairs, load up a pre-paid card and use it at the self-serve kiosks to purchase 2, 4, or 6 ounce pours. 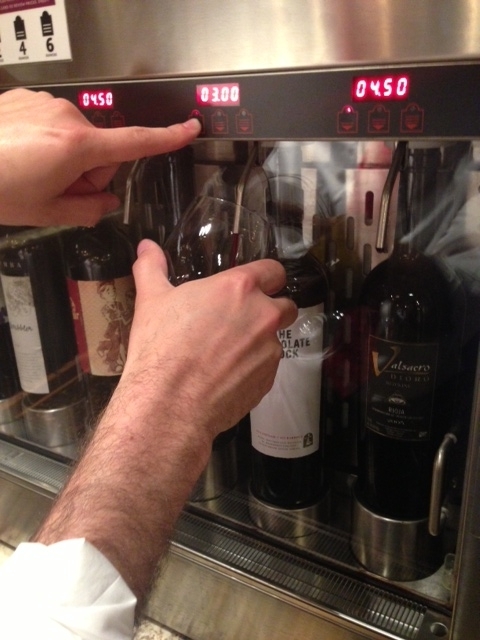 Two-ounce pours start at $1.50 and with so many wines available, it can make for one great tasting experience. 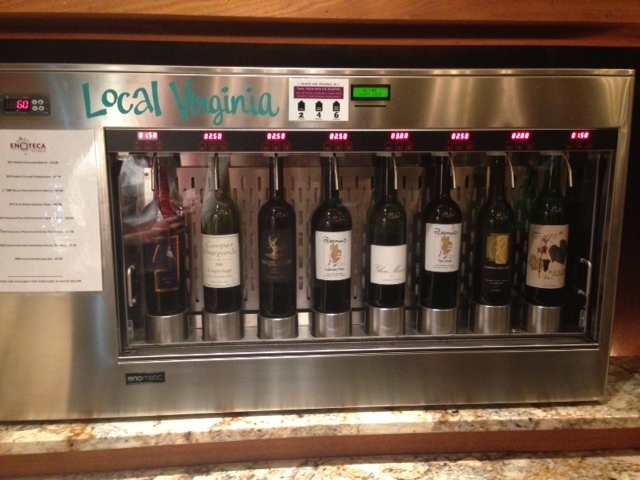 They offer wines from around the world, but if you’re looking to try some local wines, they have a section dedicated to Virginia. During happy hour, Whole Foods puts out a free spread of hummus, grapes, olives, almonds, and bread, but you can also purchase food from anywhere in the store and bring it up. It’s a great experience, but the word is getting out and it can fill up. If you can’t get to Fair Lakes, I would check the Whole Foods website to see what kind of happy hour options are available at your nearby store. For the money, it’s hard to beat.